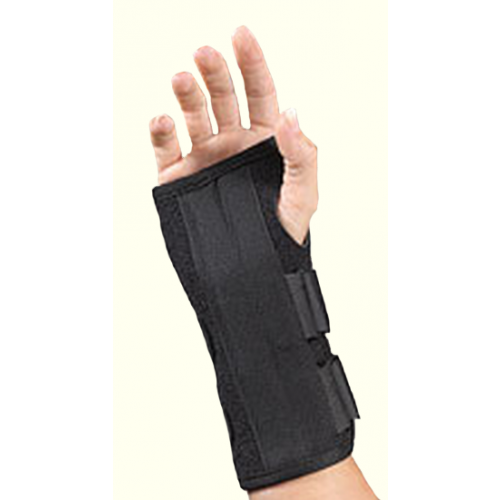 Uni Fit 8 Inch Wrist Splint is a wrist brace that provides maximum carpal tunnel pain relief. 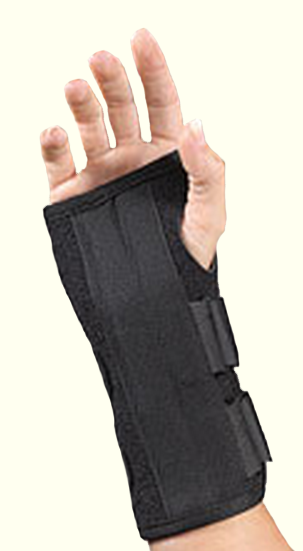 Constructed from soft, comfortable foam, this wrist splint for carpal tunnel has a wide palmar and movable dorsal stays. Low profile and inconspicuous, this wrist splint is breathable, ultra-thin, and can marginally reduce pain and inflammation associated with carpal tunnel. If you've been searching for gentle, non-intrusive carpal tunnel pain relief, look no farther than this sleekly-designed, low-profile wrist splint for carpal tunnel. Uni Fit 8 Inch Wrist Splint is uniquely designed to fit a wide array of sizes, and can fit either the left or the right wrist. A smooth Lycra lining and removable dorsal stays allow this brace to have more or less immobilization per personal preference. You may also be interested in similar carpal tunnel pain relief products and items, such as Deluxe Leader Carpal Tunnel Wrist Support. Provides maximum relief from swelling, inflammation, pain and redness associated with carpal tunnel syndrome. Wide palmar and movable dorsal stays allow for more/less immobilization as needed. Ultra-thin, breathable design is lightweight and inconspicuous. Designed to fit a wide variety of sizes and can be worn on either the right or the left wrist.